HONOLULU, Hawaii, Sep 5 2016 (IPS) - A rare case of intensive and decade-long collaboration between Big Oil, scientists and environmental activists has been hailed as a success story in protecting an endangered species of whale from extinction. In the early 2000s, the western grey whale was thought to number about 115 off the island of Sakhalin in the Russian Far East where they would spend the ice-free summer months feeding before their winter migration. Sakhalin Energy, then majority-owned by Shell, announced plans to expand its oil and gas operations in those waters, kicking off a fierce campaign by NGOs, including WWF, Greenpeace, Friends of the Earth and others. Protests failed to halt Sakhalin Energy but the NGOs crucially succeeded in persuading international banks to place tough conditions on their loans to the company. This included working with an independent group of scientists for the duration of the loans and projects to mitigate the impact on the whales. The International Union for Conservation of Nature – the world’s largest environmental association of governments and NGOs – convened and administered what became known as the Western Grey Whale Advisory Panel (WGWAP) made up of 13 independent scientists. That was in 2004. 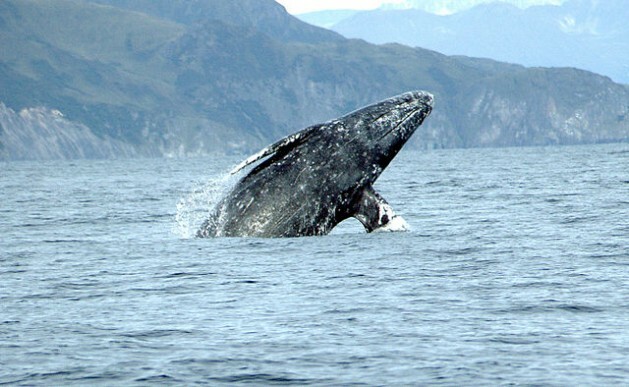 Ten years later and the grey whale population was estimated to have grown to 175. This week, the IUCN, holding its World Conservation Congress in Honolulu, hailed the panel as a “fantastic example” of conservation and how business and environmentalists can work together. NGOs involved in the project agree. “As an NGO it has been a journey. We started campaigning against this project but now we are part of it,” Wendy Elliott, a biologist and senior campaigner at WWF-International, told a news conference. What could have become a catastrophe has been a success, she said, calling on other financial institutions to follow this model in imposing conditions when lending to projects that impact bio-diversity. Stewart Maginnis, IUCN global director of the Nature-based Solutions Group that oversaw the panel, noted that 90 percent of the panel’s 539 recommendations to Sakhalin Energy had been implemented, superseded or were no longer applicable. Crucial proposals that were accepted included changing the route of a proposed pipeline and adopting recommendations for seismic surveys. However it also took another fierce campaign by NGOs in 2011 to persuade Sakhalin Energy not to start building a third platform. During the panel’s work, monitoring of one female whale, named Varvara by the scientists, found she had migrated in November 2011 from Sakhalin Island across the Pacific to Alaska and all the way south to Mexico’s Baja California Peninsula – a journey of 10,880 km, the longest recorded one-way migration of any mammal. Maginnis stressed that the critical element in the panel’s success was its freedom and independence to draw up conclusions that were transparent – a process that involved NGO observers attending its plenary meetings with the company. Deric Quaile, manager of Environmentally Sensitive Areas in Shell, now a minority shareholder in Sakhalin Energy, called the process “fantastic” and an important part of Shell’s “journey” to improve its environmental performance. He acknowledged it had been a slow process for the company, but argued that Shell had made strides. “Responsible environmental management is engrained in the DNA of our corporate culture,” he said. Such a claim, however, has been hotly challenged. Shell came under huge pressure from environmental groups before it announced last year it would abandon its Arctic oil operations, having sunk some 7 billion dollars in exploratory drilling. Its public statement blamed a tough regulatory environment by the U.S. but analysts said it was clear other factors were at play, including widespread public opposition and falling oil prices. And last November, Amnesty International and the Centre for Environment, Human Rights and Development accused Shell of making “blatantly false” claims to have cleaned up heavily polluted areas of the Niger Delta at four oil spill sites. “By inadequately cleaning up the pollution from its pipelines and wells, Shell is leaving thousands of women, men and children exposed to contaminated land, water and air, in some cases for years or even decades,” Amnesty International said. A similar panel to WGWAP and also administered by IUCN is working in the Niger Delta advising on oil spill clean-up operations, involving Shell. However, Elliott of WWF-International warned that in the case of Sakhalin the western grey whale population remained small and that “success is very fragile”. “There is a situation jeopardising this success,” she said, accusing U.S. oil giant Exxon of putting the western grey whale at risk with its plans to build a pier in one of the Sakhalin island lagoons where the whales feed. “The panel expressed extensive concerns over this development but they fell on deaf ears,” she said. Experts say the pier is not necessary and an alternative exists. NGO observers found that Exxon was disregarding its own guidelines, for example by operating boats at speed at night with the danger of hitting whales, Elliott said. She called on Exxon to drop its objections and join the panel. Exxon did not respond to a request for comment by IPS. WWF, in an earlier report, quoted Exxon as saying its subsidiary’s plans met Russian environmental requirements, had been approved by the authorities and had all the necessary permits. Operations would start, Exxon said. IPS asked Maginnis if there was a danger that such panels administered by IUCN could be seen as giving the green light for energy companies to operate in areas where environmentalists would argue that no drilling at all should take place. Maginnis replied that the IUCN would not endorse such a scientific panel for extractive operations in World Heritage Sites, which he described as “No Go” areas for development. But, in other areas, if governments gave licences and banks gave loans, then the IUCN urged pragmatism. “There are some clear cases where we would say ‘no’. But we must be pragmatic. Without the (western grey whale) panel, there would have been a continuous decline in population numbers,” he said.